When Kickstarters go bad, they tend to go very bad, but Robotech® RPG Tactics™ has been downright catastrophic. To give you a quick recap of the project, it was launched in 2013 during the hey-day of Kickstarter projects. 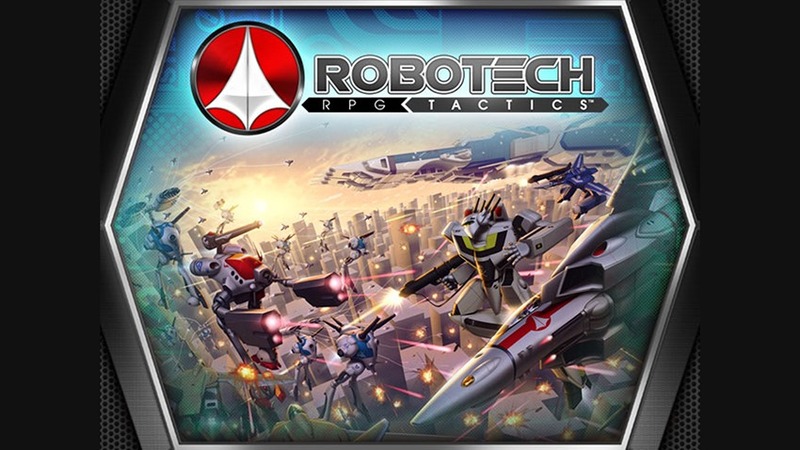 Billed as a fast paced strategy battle game that expands on the popular Palladium role playing game, Robotech was fully funded as of May 20th, 2013, with estimated delivery for backers in December 2013. Over the course of 2013, the updates on the Kickstarter page continued to indicate that everything was on track for the promised fulfilment date, until some November 2013, where an update listed several unforeseen issues holding up production and further delay. By September 2014, some backers began to say they’d received their copies of the game, while Palladium Books announced a new, “two-wave” release schedule. Most backers still hadn’t received anything when Palladium asked their backers if they could sell Robotech at Gencon 2014. After a GenCon attendee got hold of a copy, he recorded an unboxing video which revealed that the game quality was well below what was promised with missing components, unpainted figures and obvious manufacturing flaws. During 2015, backers decided to open a case against Palladium with the Better Business Bureau, while as of February 2016 less than 200 backers from the original 5000 state they’ve received their game. You can see why some tempers may have been running high from backers. Now things have really hit the fan, starting with an update posted on February 4th, 2017. In this update, a promised new-new delivery date for Wave 2 was announced for the end of 2017, but backers have obviously had enough with empty promises. In a misguided attempt to drum up support, Carmen Bellaire – one of Palladium’s freelance designers – posted a long comment on the Robotech Kickstarter page. In some roundabout way, Bellaire’s comment was attempting to say that if his own Kickstarter for Rifts (due for launch in April 2017) was a success, it would be helpful for Palladium as he could dedicate himself full-time to board games design. It didn’t help that Bellaire’s comment was more than a little accusatory in tone, and he seemed to threaten backers who were attempting to (or stating their intent to) shut down the Rifts Kickstarter. So, the internet hive-mind being what it is, abuse was hurled at Bellaire. In a tragic turn of events, Palladium’s president, Kevin Siembieda, revealed in Robotech’s latest update that Bellaire attempted to commit suicide after the drama surrounding his comment. He was luckily found in time by his wife, but the state of his recovery is unknown. As an aside, I implore you not to read the backer’s comments on that last update, as apparently some people are completely devoid of empathy. There’s no doubt that there are parties at fault in this whole debacle. Four years after the initial Kickstarter, Palladium Books have made a downright mess of things. Backers are angry, as they have every right to be. But to have lashed out at a game designer, to the point of driving him to suicide? That’s really, really messed up. At this point everything seems up in the air. Who knows if Palladium will ever complete Robotech, or if Rifts will make it to Kickstarter? We don’t even know if Bellaire will pull through, and if he does, will ever come back to doing what he loved. All I know is that this is a tragic story of a Kickstarter gone horribly wrong.